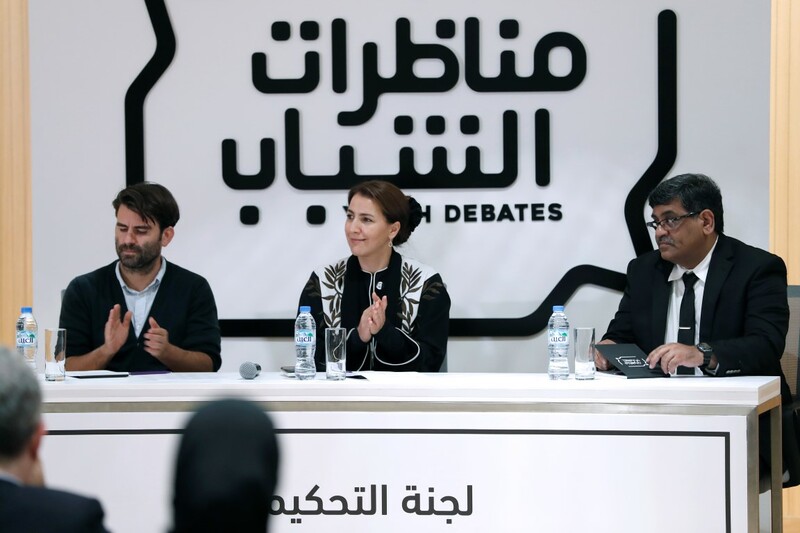 ABU DHABI, 11th September, 2018 (WAM) -- Mariam Hareb Almheiri, Minister of State, participated, as a guest of honour, in the opening session of the "Youth Debates Programme," the first youth oriented debating platform in the Arab region. 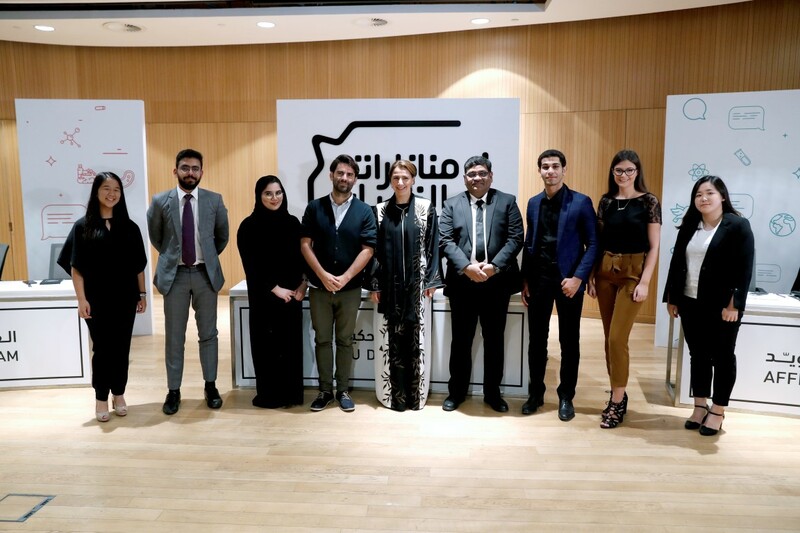 The session was organised by the Federal Youth Authority and was held at the New York University, NYU, Abu Dhabi, with the participation of two teams of students who debated the use of the latest genetic technologies to improve the production of agricultural crops and ease the global food shortage problem. Shamma bint Suhail Faris Al Mazrui, Minister of State for Youth Affairs and Chairwoman of the Board of Directors of the Federal Youth Authority, said that such debates are an opportunity to sharpen and develop the skills of the youth in presenting ideas while improving their confidence, through encouraging the culture of constructive and interactive dialogue based on reasonable arguments Almheiri said that communities in many parts of the world are facing challenges related to food production, such as climate change, the availability of drinking water, and the increasing demand for energy resources. She added that the current estimate of one-eighth of the world’s population suffering from food shortage problems makes it an urgent issue that will have a huge impact on humankind. She noted that based on this number, there is increasing attention to the topic of modern technologies, specifically biotech, which is witnessing a flourishing era, as it offers effective solutions to deal with these challenges. Considering that biotech is considered one of the new ways to produce food, it is currently being evaluated by those relevant to this field, which represents a part of the future food security strategy in the UAE. She said she was looking forward to strengthening the production of agricultural crops by benefitting from the many available technologies, including biotech, which will contribute to increasing the production average by 10 to 25 percent, parallel with the technologies that strengthen the quality of seeds, harvesting water agriculture crops, and farming in closed environments, among many others. 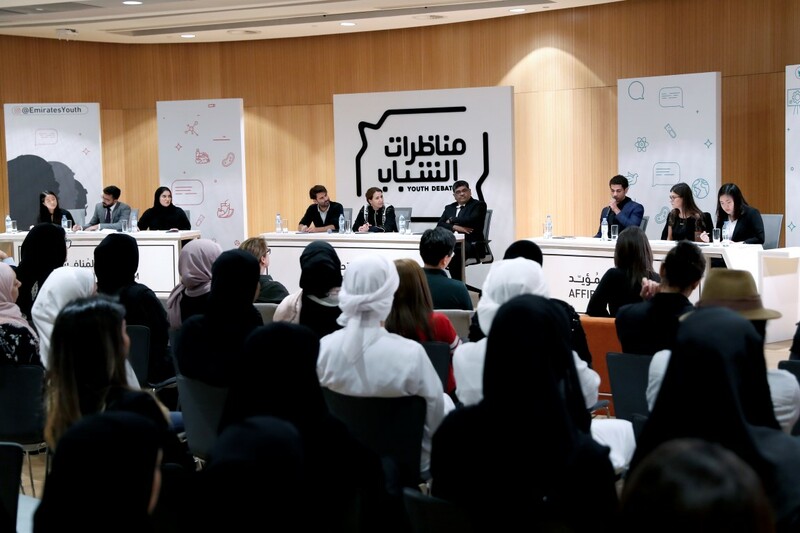 Each team includes three students, who take turns in presenting their arguments for or against this direction, demonstrating their in-depth knowledge of the topic.